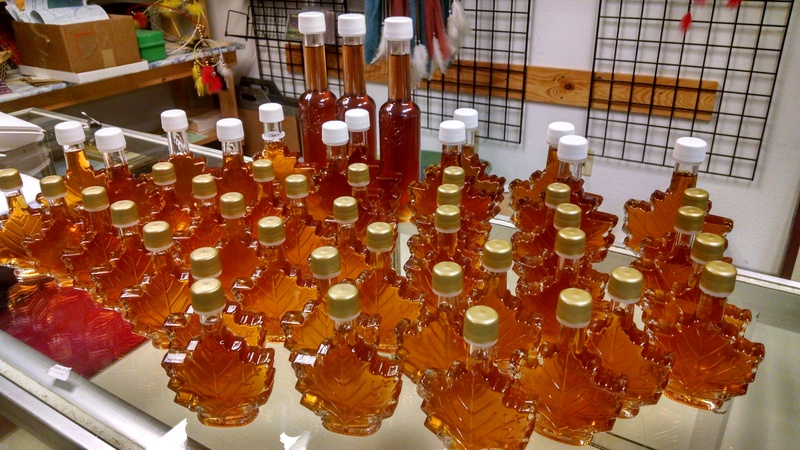 DeMain was referring to the Penokee Gold® maple syrup being test marketed this year for the La Courte Oreilles and Bad River Tribes and Inter-Tribal Maple Syrup Producers Cooperative, nonprofits geared to create sapping products in the woods of Northern Wisconsin. Russ Buccanero and Nick Vander Puy making “Moore, Please” maple syrup, pints of which were handed out at the March Iron County Board meeting. On Saturday, April 25, HELP will celebrate its 2nd year and this year’s syrup season with a Pancakes in the Penokees event at Moore Park Road County Park, near the site of the current HELP sugar bush and campsite. 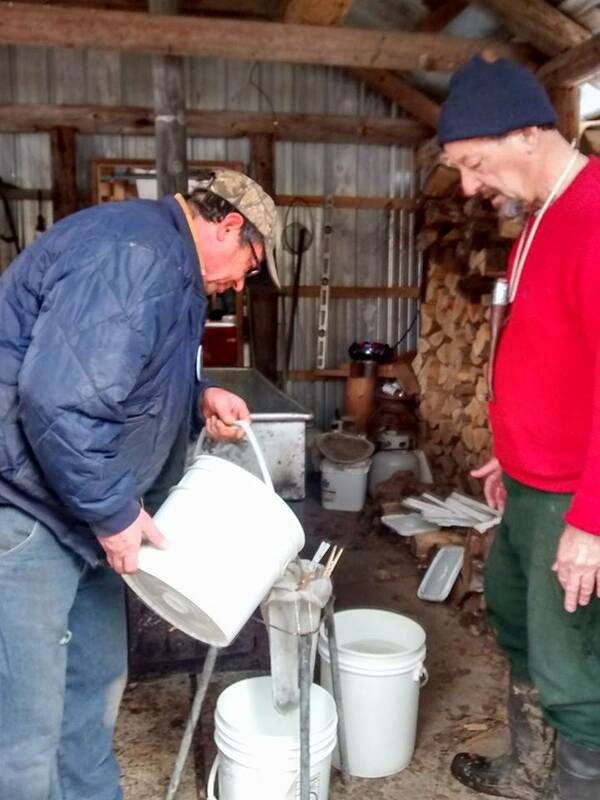 With the help of volunteers, syrup was produced at HELP and next door at the Russ Buccanero’s Finnish Camp “Ground Zero,” where 200 gallons of sap were boiled down into five gallons of “Moore, Please” syrup. Syrup from both sites will be featured, along with favorite pancake batter recipes and other local food from the northland. Both HELP and Ground Zero were indeed ground zero in the plan to build an iron ore mine in the Penokees. However Gogebic Taconite (GTac) withdrew their pre-application permit last month and announced it would not pursue the project. 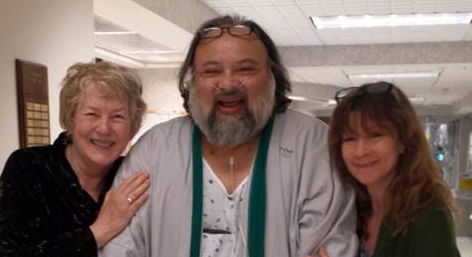 Bad River Tribal Member David Joe Bates with friends Ros Nelson (l) and Michelle Heglund (r).